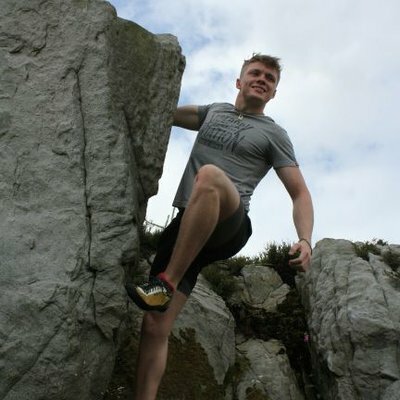 The Following LabLog was written by one of our regular climbers and Leeds student Dan Wood. Earlier this year many regulars to the climbing lab would have seen an unusual sight. programme? Some strange bloke with a tablet and nothing better to do? notice board and the walls of the men’s toilets on the poster shown below. practically in a scientific study. the more carnosine it usually has. acidity of muscle tissue and blood and therefore muscular fatigue. contraction and therefore theoretically increased strength? success variable and therefore would give inconclusive results. increased sense of readiness for climbing. 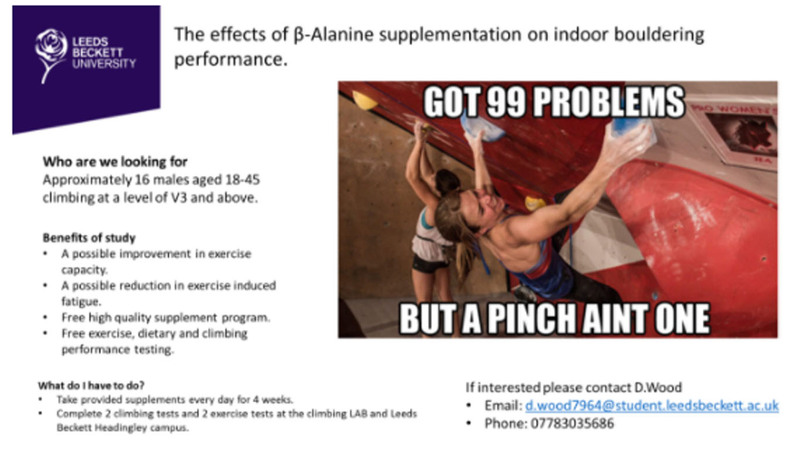 experiments into the blood profiles of professional bouldering competitions in Italy. not an effect on the RPE of individual climbs but a significant effect on the s-RPE. the face and sometimes arms.  4g/day for 4 weeks.  Dilute in 1L of water (add cordial if palatability is an issue). taurine deficiency. 1-2 weeks should be sufficient. process and I wish them the very best in the future.